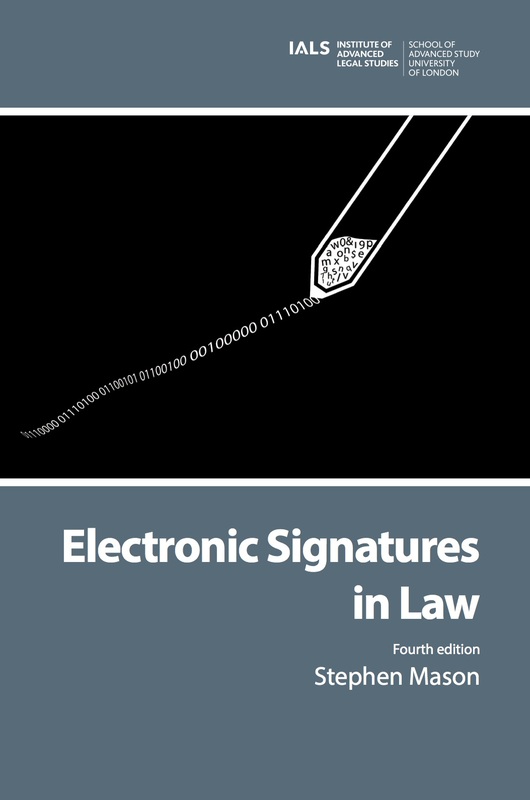 Signatures and, more recently, digital evidence are at the heart of many legal translators’ work, so I’m sure that readers will be interested in this 4th edition of Electronic Signatures in Law by Stephen Mason, a barrister and research fellow. The fourth edition of this book provides an update on the European Union Regulation that repeals the EU Directive in electronic signatures, together with an update of the case law across the world. It provides a practical guide to understanding electronic signatures, setting out an analysis of what constitutes an electronic signature, the form an electronic signature can take, the forgery of electronic signatures, and issues relating to evidence, formation of contract and negligence. The text includes case law from 38 jurisdictions: Argentina, Australia, Brazil, Canada, China, Colombia, Czech Republic, Denmark, England & Wales, Estonia, European Patent Office, Finland, France, Germany, Greece, Hong Kong, Hungary, Ireland, Israel, Italy, Japan, Lithuania, Netherlands, New Zealand, Norway, Papua New Guinea, Poland, Portugal, Russian Federation, Scotland, Singapore, Slovenia, South Africa, Sweden, Switzerland, Turkey, the United States of America, and Zimbabwe. The book is available in hardback, paperback and Kindle versions, as well as an Open Access PDF that can be downloaded here. See further details on the Humanities Digital Library OBserving Law project page here. Pingback: (EN) (PDF) – Electronic signatures in law | Stephen Mason – Glossarissimo!